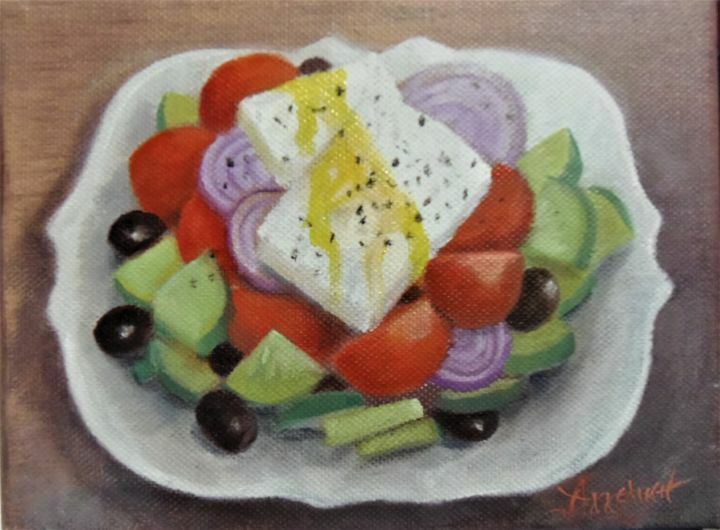 Traditional Greek salad with tomatoes, cucumber, onion, olives, feta, oregano and of course... pure, golden, Greek oil... Delicious!!! !